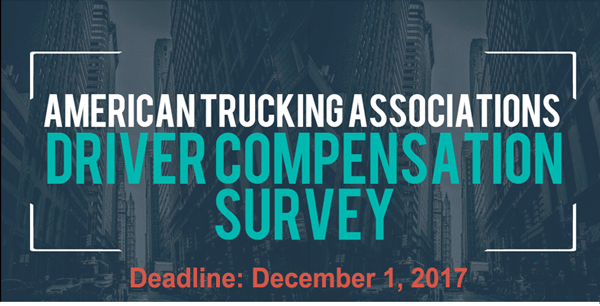 American Trucking Associations invites all for-hire and private motor carriers to take part in its Driver Compensation Study. The first of its kind since 2014, the survey’s purpose is to provide accurate information on the trucking industry’s largest expense – driver pay. Spend just 25 minutes and get a free exclusive executive summary prior to the official release of the report, and 70% off the published report for ATA members and 67% off for non-members. Take the survey by December 1.